There was a show in London last summer, organized by RIBA, called Fantasy Architecture: 1500-2036. (You can read a review of it here, with images). 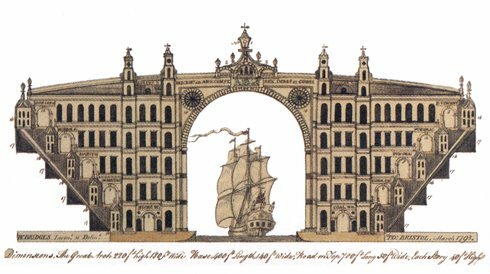 The show included this amazing bridge design, which has been tacked to a bulletin board behind my desk for nearly a year; I finally scanned it. [Image: A bridge over the River Avon, by “W. Bridges”]. 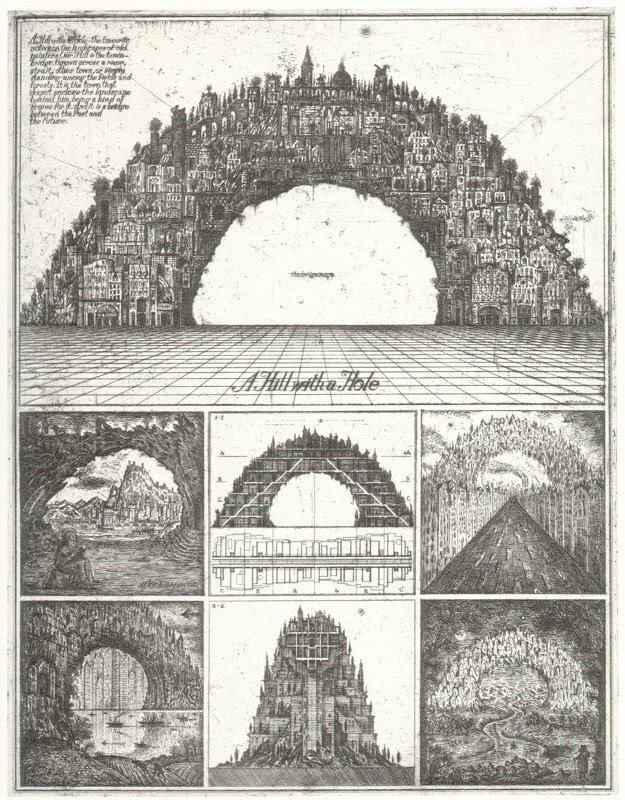 – yet that initial bridge also reminds me of a post on Pruned, about the unbuildable, speculative architectural designs of Alexander Brodsky and Ilya Utkin, which included this insane kind of bio-architectural hedge-bridge. Houses growing atop houses. Combining this and the bridge above, however, I’m left wondering if you could grow a bridge out of coral? A whole continent-wide system of Roman aqueducts? Somehow train the coral, or guide its barnacled growth, upward into an arc – then walk over it. Sail ships under it. Or would that form the first legally-recognized case of landscape abuse? Mistreating your living bridges? (See Pruned or the nonist for more; then order this book).